Taco? Fajita? Not sure what I made but it was delicious. 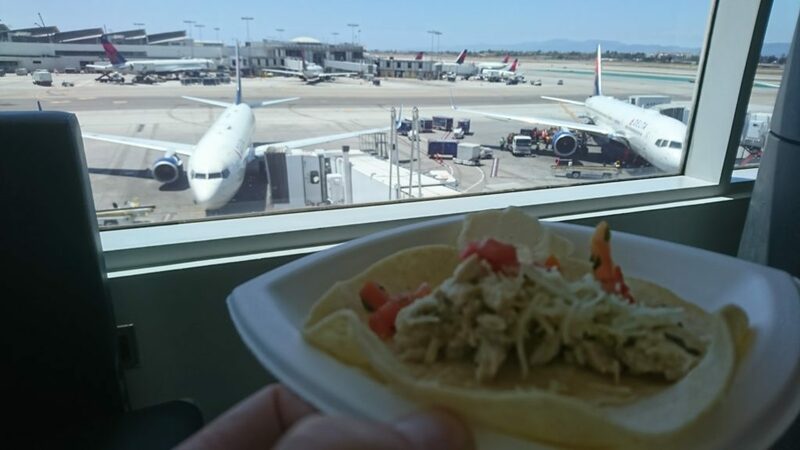 Lounges: USALounge ReviewsLAX- Los Angeles Intl. Wait a Minute. Where am I? Even I was confused pulling into a Terminal 3 gate on a recent arrival to LAX on Delta. 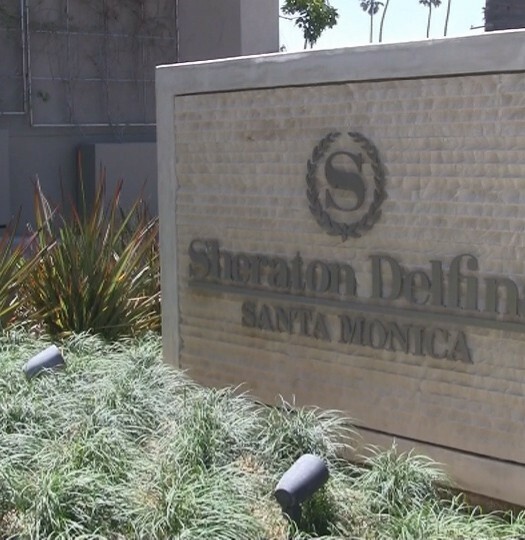 I WAS aware that the airlines had shifted buildings, but didn’t remember that this was the terminal Virgin America once flew from …and one that I had vowed to avoid whenever possible. The mass of humanity shoved into the giant orb of departures irritates my antisocial senses, I guess. 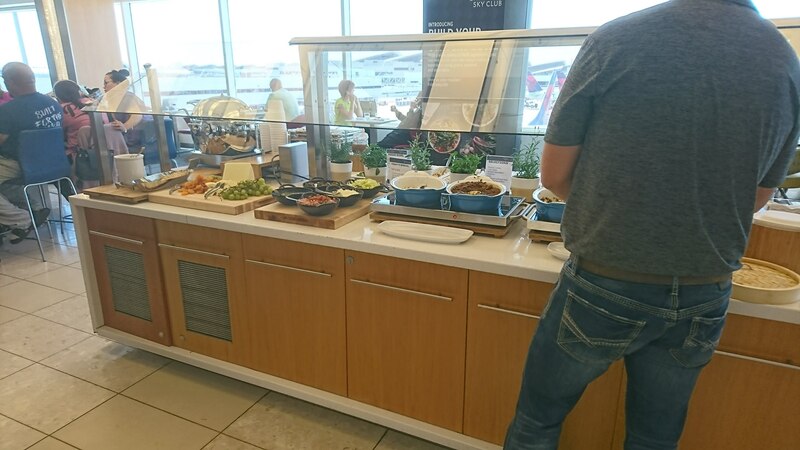 So, I skipped the T3 Sky Club and took the free airside shuttle to Terminal 2 where I had hoped to try both the Delta Sky Club AND Virgin Atlantic Clubhouse. 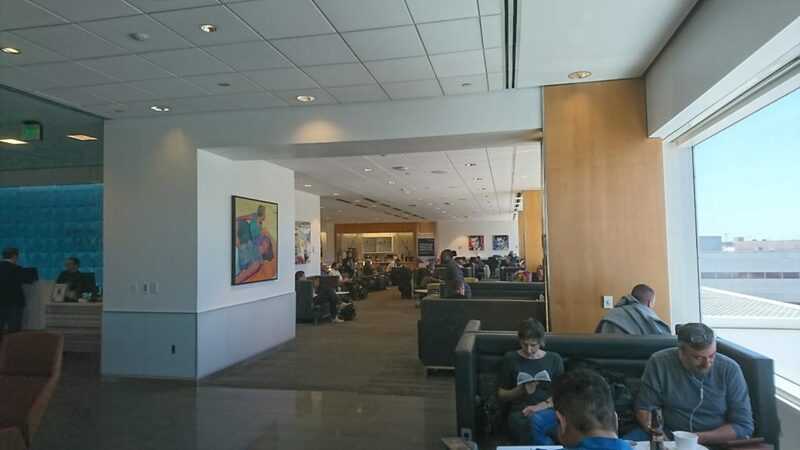 The Clubhouse was closed to my kind (Priority Pass) after 10:30am so it was straight to the T3 Sky Club. Club was crowded but not jam-packed at 2pm on a Thursday. This early afternoon weekday visit had the lounge fairly crowded but there wasn’t a problem finding a spot to sit without feeling packed-in. 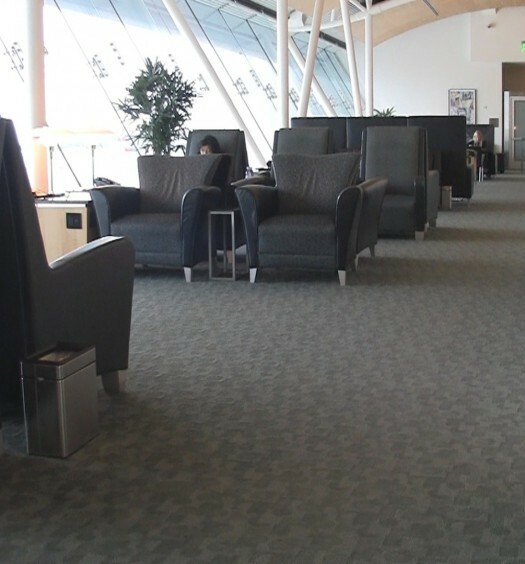 As is the case with many updated Delta Sky Clubs, several types of seating are on offer from cafe-style to semi-private cube chairs. 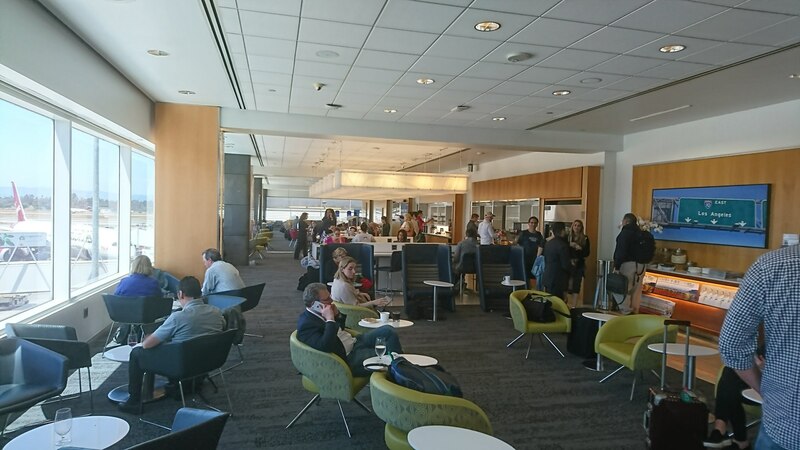 The Sky Club at Terminal 2 is a narrow one but we found there to be enough seating for the size of the crowd. What happened to giant glass canisters of carmel-corn? This late lunch crowd was treated to “Build Your own Sky Bowl” bar? Mine turned out to be a more of a soft taco, but however you assemble it, the option is a good one. Other hot meal options and soup were offered too. To drink? The usual PLUS a local brew on tap. Build your own bowl…or taco? Healthy salad options at Sky Club. LAX T2. 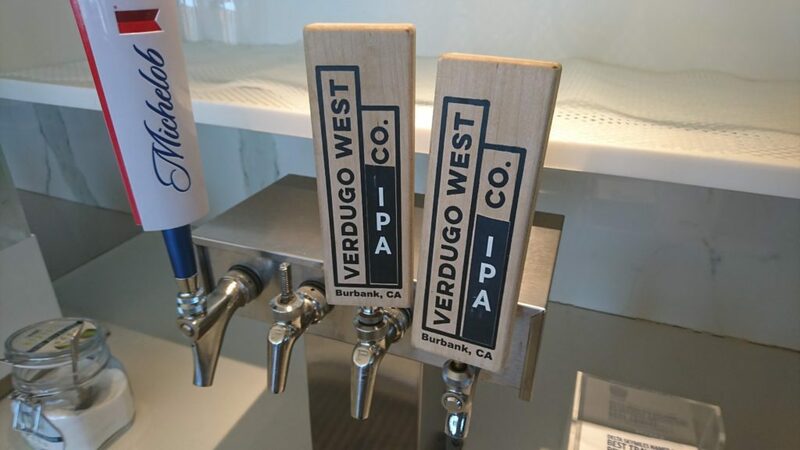 If you’re a fan of IPA’s , try LA local Verdugo West. 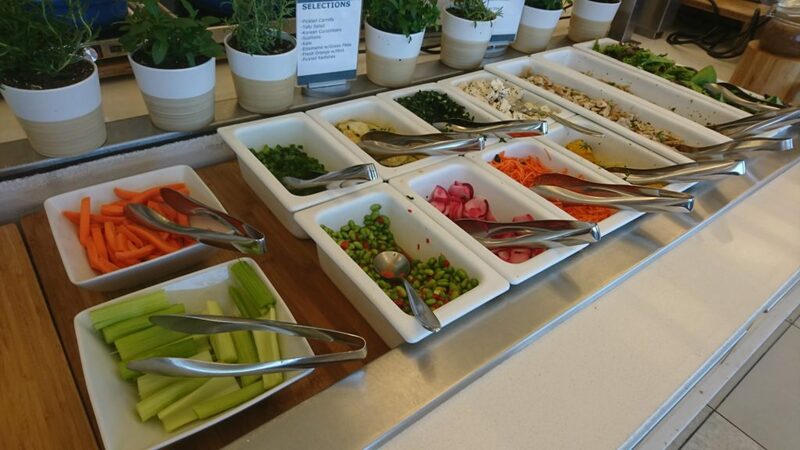 The best spots to work appeared to be the long, tall communal tables near the food. These spots were chuck-full of WeWork style millennial business-trippers. Wi-fi worked well for me. 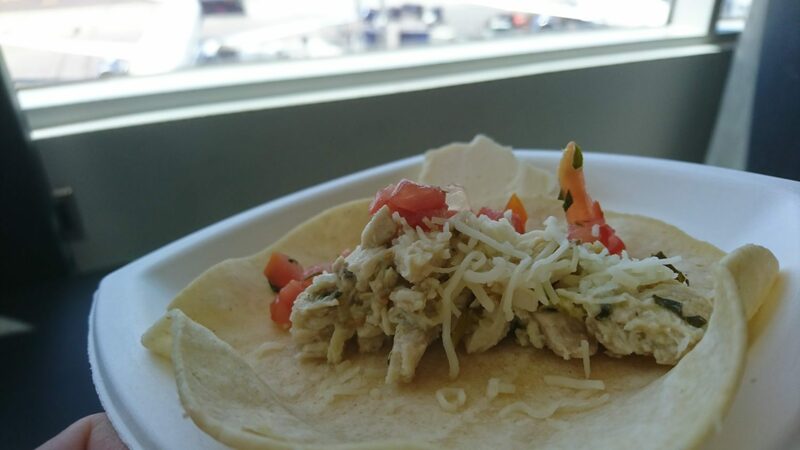 Beyond the taco: View at T3 Sky Club is great. My encounter with the staff here was brief but very pleasant. Quick check-in and a friendly greeting. Inside staff seemed to be on their a-game as well, keeping things stocked and tidy for guests.